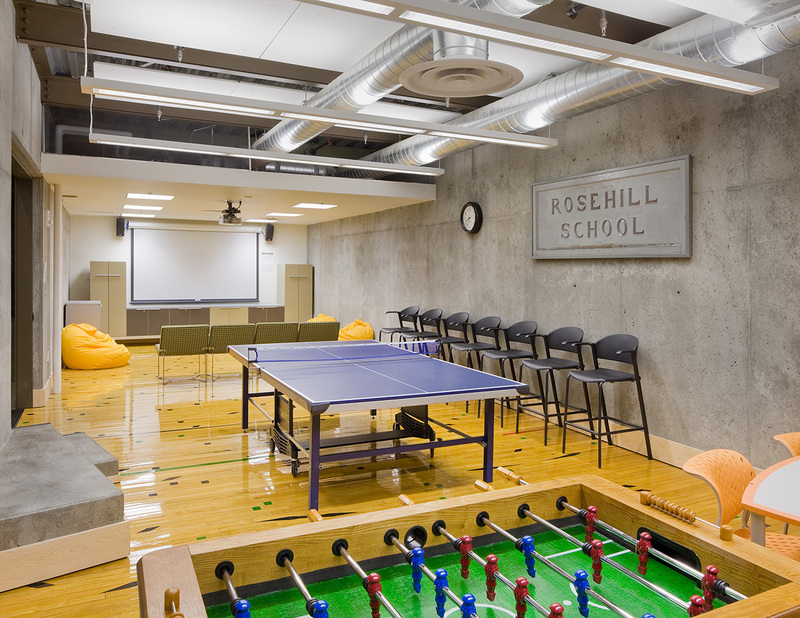 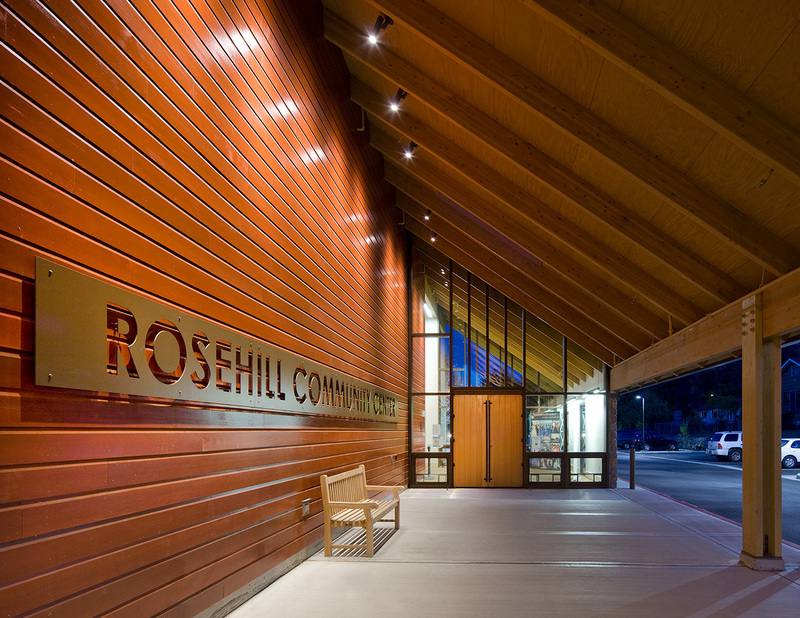 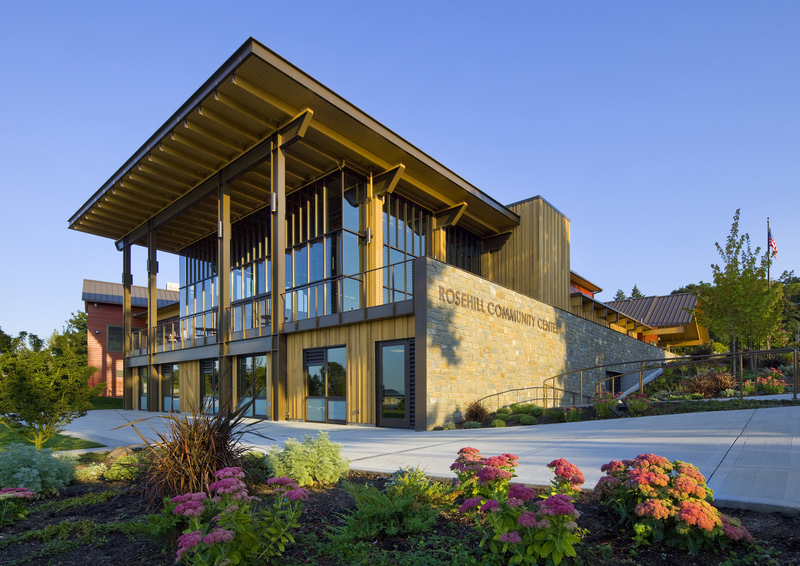 The Rosehill Community Center is in the heart of Old Town Mukilteo. 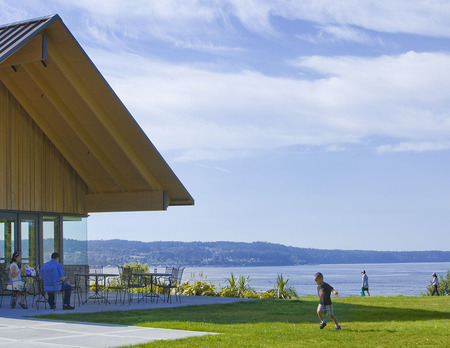 Its design and prominent location bring people and events to this historic and popular area, adding to its vitality and economic health. 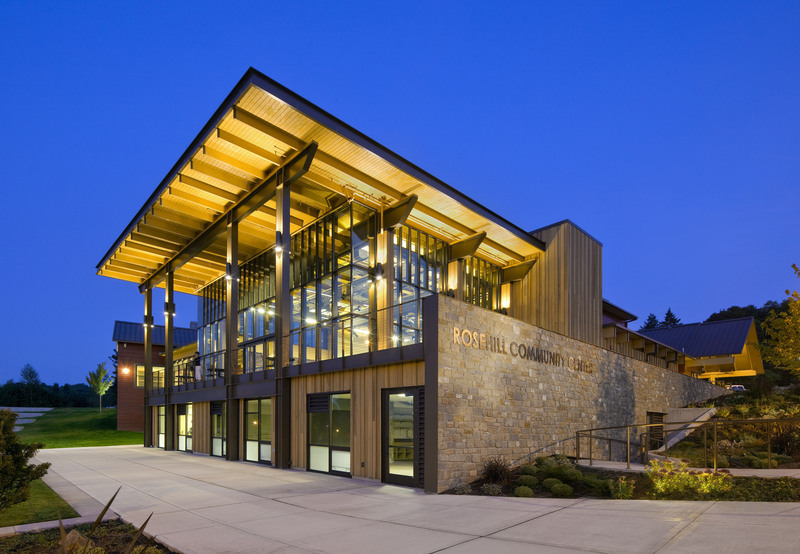 The design fits the varied neighborhood building forms, and the materials and color fit the character of the site. 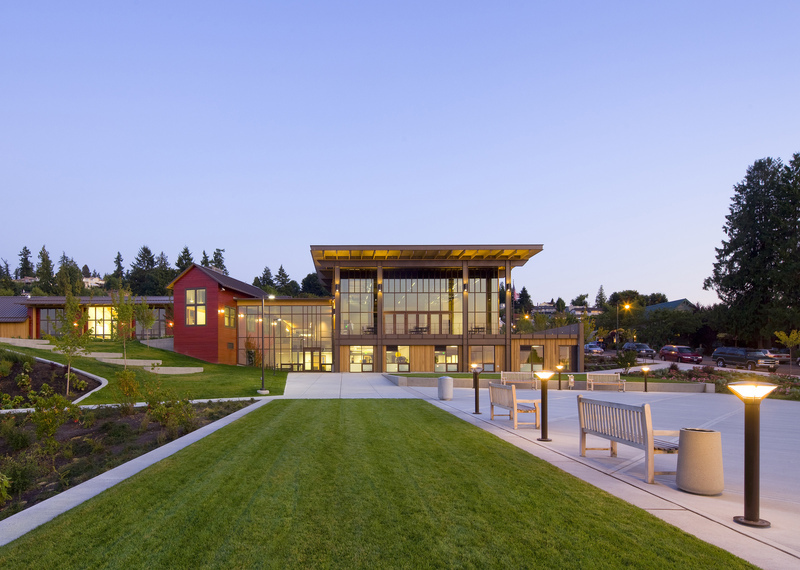 The Center is designed to LEED Silver standards. 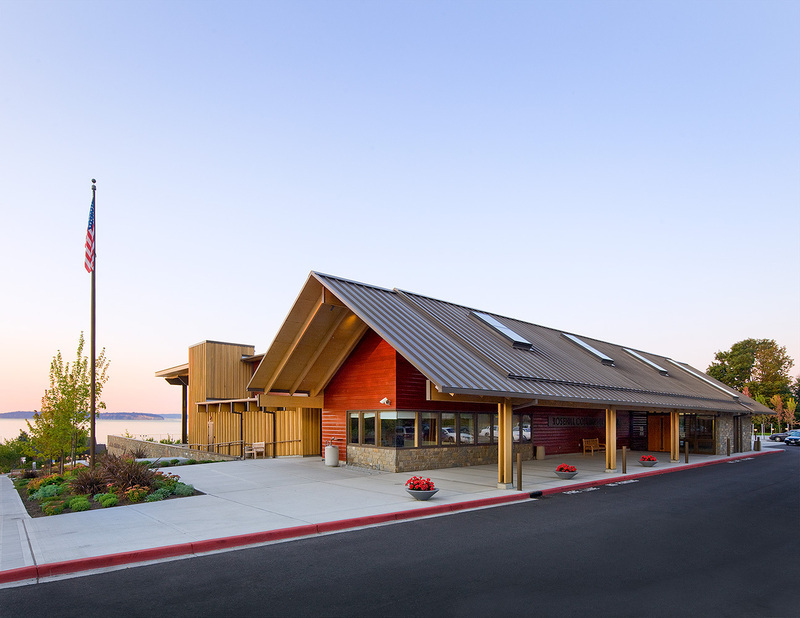 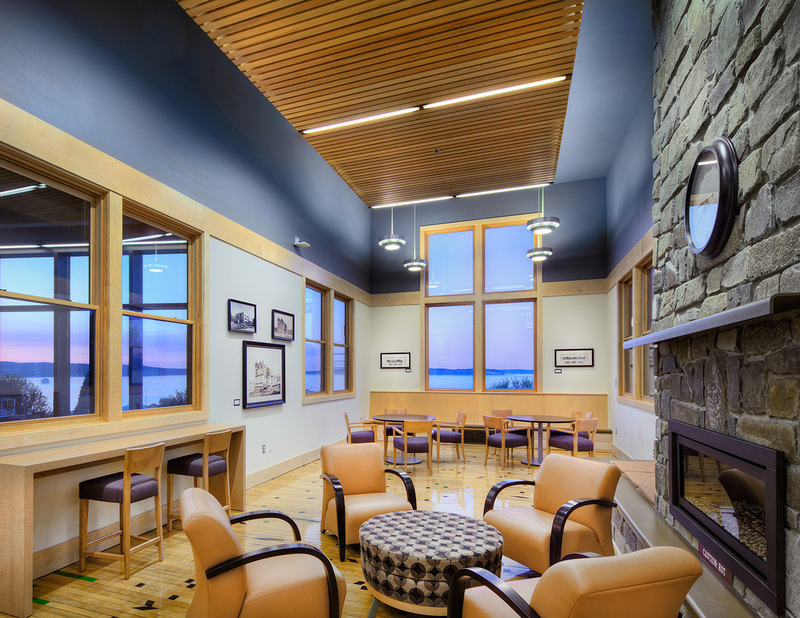 This community facility has fantastic views of Puget Sound and Whidbey Islands. 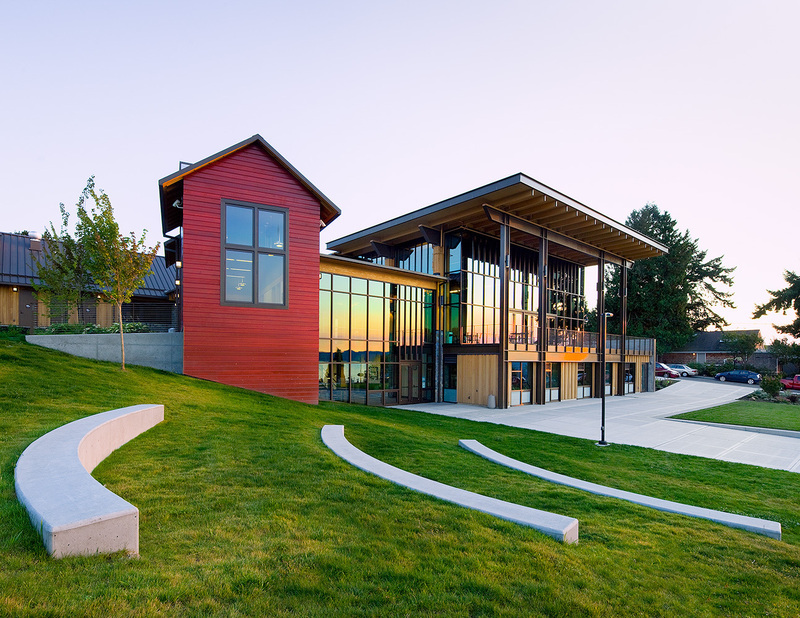 The landscape steps down the hill with an informal amphitheater leading to a public plaza, which hosts events, plays and holiday celebrations. 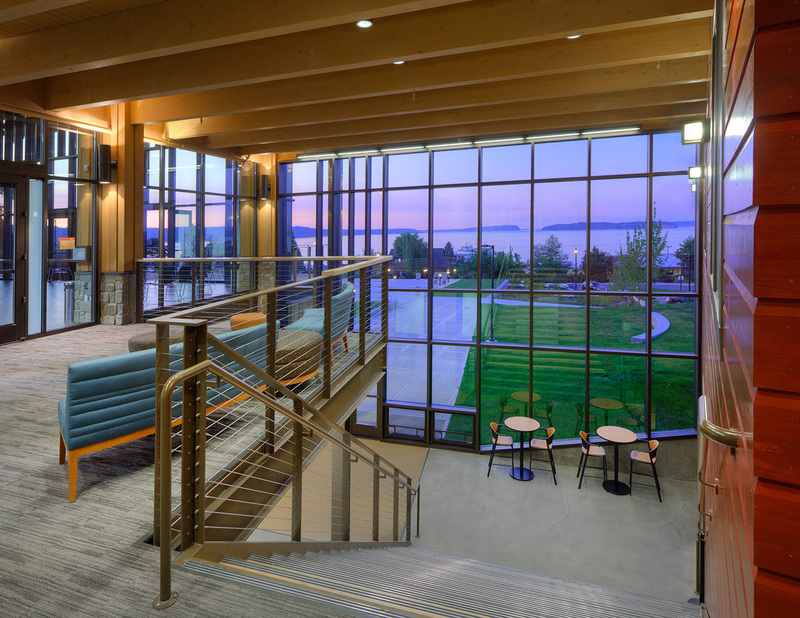 The large social hall has a stage, fly tower, and sound system for a variety of events, and opens to a large covered plaza facing west. 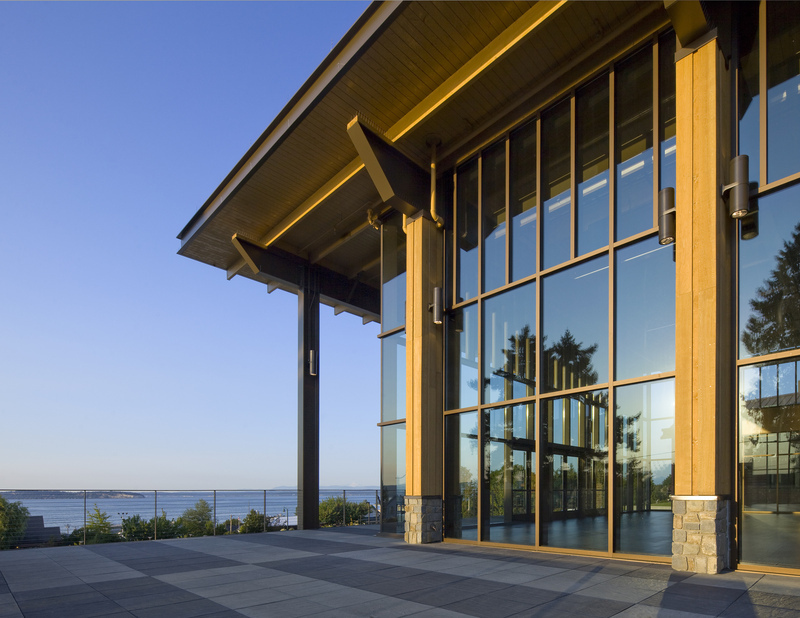 The center is one of the most desired wedding venues in the region: Brides and grooms line up for a lottery to reserve the grand hall for their special day.